The Dicky bear 1930 replica also comes in miniature form. As well as being made of finest mohair with delicate airbrush details in the face and characteristic paw pads, Dicky Mini Teddy bear boasts a gold-plated Button in Ear. This exclusive edition of 1,500 bears gives lovers of the Original Dicky bears from the 1930s or later replicas the chance to find a little Dicky to keep his larger counterpart company. 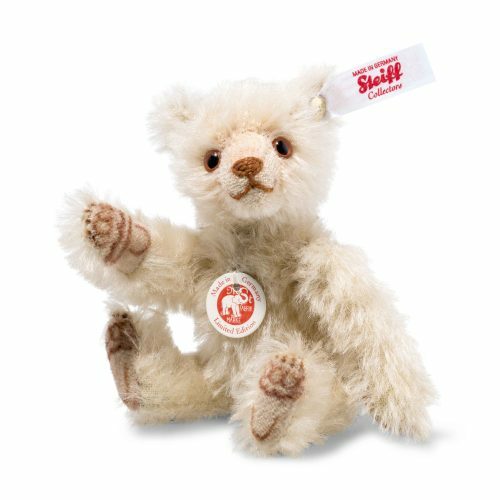 Needless to say, Dicky Mini Teddy bear is also in his element when combined with Dolly or Petsy Mini Teddy bear: the choice is yours!